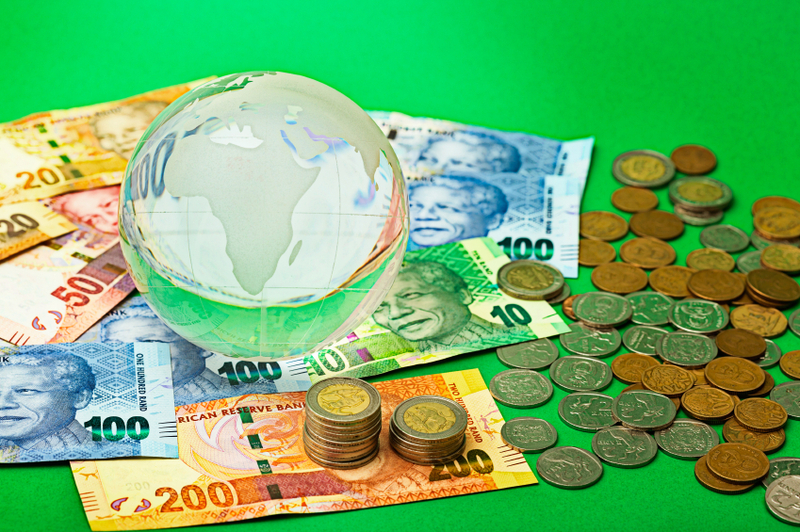 Investors looking for opportunity have flocked to South Africa with the country drawing the most foreign direct investment (FDI) of sub-Saharan African nations, according to Ernst & Youngs Attractiveness 2014 survey. Investors looking for opportunity have flocked to South Africa with the country drawing the most foreign direct investment (FDI) of sub-Saharan African nations, according to Ernst & Young’s “Attractiveness 2014” survey. But that attractiveness has taken several hits during the course of the year. A five-month strike in the platinum sector, followed by four weeks of inaction at factories, took their toll on the country’s economy. Then, in August, the failure of African Banks Investments Ltd. led to the downgrade of the country’s debt ratings by Moody’s and Standard & Poor’s. In October, a reduction in South Africa’s growth forecast by the finance ministry added to concerns over the country’s economy. And in December, Fitch Ratings gave the South African bank sector a negative outlook. Also during the month, the rand was one of the hardest-hit currencies in an emerging market rout—even though the collapse in oil prices should have benefited the country, since South Africa is a net crude importer. But there are two legislative actions that could have more far-reaching effects on investors in South Africa: a proposed Banks Amendment Bill that followed in the wake of ABIL’s collapse and an expected Investments Bill that will affect bilateral investment treaties. The Banks Amendment Bill, with its provisions that could strip away some investors’ creditor rights, has caused a backlash among investors, who plan to fight the measure when it goes before the South African Parliament in February. Among the actions the bill would allow, according to its text, is the right for the administrator of a failed lender to “make decisions on behalf of corporate shareholders, in order to avoid additional fetters on his or her ability to perform his or her duties.” The administrator would thus be able to sell assets and change capital structures without consulting investors—something that is not making those investors happy. Fitch said that the sovereign’s ability to provide support is “predominantly based on our assessment of the sovereign’s financial flexibility, the moderate size of the banking system relative to the economy and the size of a potential problem.” In South Africa, however, the top five banks hold about 90% of system assets, likely making it harder for the sovereign to provide support. According to the ratings agency, implementation of the resolution legislation is an indication of weakening support. “Fitch’s view of the authorities’ propensity to provide support for the banking system and individual banks balances the high proportion of domestic customer deposits, a previous track record of support and widely held ownership against a developed and evolving recovery and resolution framework,” it said. “The SRs place high importance on these banks’ relative systemic importance and lower importance on the availability of bail-in legislation and other resolution legislation. Fitch expects that the SRFs are ultimately on a reducing trend and will be downgraded to ‘BB-’ as the bail-in tools become entrenched in legislation; thus, resolution legislation will be more important in our assessment of the authorities’ propensity to support. As investors are chewing on that, they should also remember that other piece of legislation that is also likely to come before Parliament in February: a revised Investment Bill intended to replace existing BITs. South Africa had decided back in 2013 to terminate its BITs as a matter of policy, choosing instead to have foreign investments protected through legislation—namely, the Promotion and Protection of Investment Bill 2013, which was released in draft form for public comment on November 1 of last year. The government also notified the states with which it had BITs that those treaties would be terminated. While the bill garnered public comments—all of which were due by last January 31—no further action was taken during the months since. But when Parliament reconvenes in February, it’s expected that a final revision of the bill will be up for passage. While the bill will change a number of existing provisions, grandfathering would protect existing investors for a limited term. The stated objective of the bill is to provide equal protection to investors both within and outside South Africa, and there has been some criticism of at least the early draft, which is seen as lessening the protections provided by BITs. It remains to be seen what form the final draft will take, but it is yet another factor for investors to consider when choosing whether or not to place investments within the country.